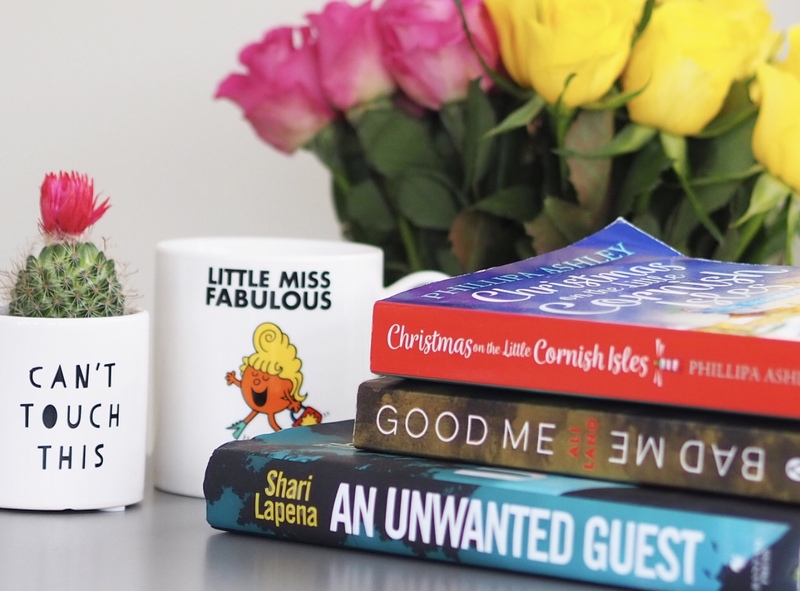 I absolutely love reading, and I really love putting together mini review posts like these but I am awful at prioritising time for myself to read! For this reason, these posts are few and far between, but as I have managed to read a few different books recently, I thought I would share what I’ve been reading so far in 2019. I absolutely loved Shari Lapena’s The Couple Next Door and A Stranger in the House so I knew I had to get this book as soon as I spotted it on Amazon. I found it took a little longer to get into than the previous books, and I found it a little hard to keep up with all the different characters, especially as the book switches between the perspective of each of the guests staying at a remote inn during a snowstorm. However, once I did get into it, I found it a totally intriguing suspense thriller, and I sped through the second half of the book, needing to know the answer to the mystery. It was a good read but I did prefer the other titles by the author more. This book was a little bit strange and I really wasn’t sure if I liked it or not to start with. Even once I finished it I questioned how much I enjoyed it. It has quite an uncomfortable subject matter but I did think it was well written and I was impressed with how the book had me identifying with the thought process of the main character, even when I knew it wasn’t really morally right. I would recommend giving this one a read as it was a little different than anything I have read before. If you enjoy psychological thrillers and crime stories, this one is for you. This book has haunted me for the past couple of months. I just couldn’t get into it and I did consider giving up on it a couple of times. I think it is because I prefer thrillers to romantic storylines but the way this book is written is also a little grating. I just couldn’t identify with any of the characters and found myself really not liking the main character. I struggled to care about the fate of the inn and found the constant references to how amazing the island was a little annoying. I am not sure if it is based on a real island or not, but I struggle to believe that there is a remote island off the UK coast which is still warm into November, with sunshine almost daily. I don’t know, perhaps I am just being overly critical, but I didn’t enjoy this book and definitely won’t be searching for more in what I assume is a series of stories about the islands. I haven’t been able to picture this one as I thought it was so good I promptly leant it to somebody else! I absolutely loved this book, so much so that I actually read it within 24 hours whilst Ed and I were away in the Cotswolds recently. It was a total page turner, kept me guessing right up until the last page, and I just really found myself invested in the storyline, wanting to know what would happen and how the book would finish. The book follows four main characters as they head off to a mystery destination for a double birthday celebration. I won’t reveal anything else as I wouldn’t want to spoil it. The chapters are really short, which encouraged me to keep reading long past when I should have gone to sleep. I may have been tired at the end of this one, but it was worth it! Have you read any good books recently? What would you recommend I add to my must-read list?